In the years leading up the global financial crisis, the European Union (EU) had emerged as a central actor in global financial governance, almost rivalling the United States in influence. While the USA and the EU continue to dominate financial rule setting in the post-crisis world, the context in which they do so has changed dramatically. Pre-crisis ideas about laissez-faire regulation have been discarded in favour of more interventionist ones. The G20 and the Financial Stability Board have been charged with stronger coordination of global efforts. At the same time, jurisdictions have re-emphasized the need "to get their own regulatory house in order" before committing to further global harmonization. And through banks failures and massive bail-outs, the financial sector – hitherto a driving force behind the cross-border integration of finance – has been reconfigured. This book asks a straightforward question: what have these and other key post-crisis trends in global finance done to the position that the European Union occupies in it? 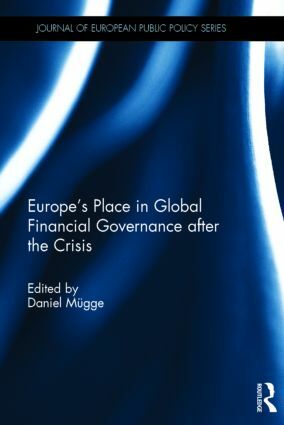 The contributions to this book analyse the link between financial governance in the European Union and on the global level from diverse theoretical angles, and they cover the main issues that will shape the future European role on the global regulatory stage. Daniel Mügge is an associate professor at the political science department of the University of Amsterdam and a researcher at the Amsterdam Institute for Social Science Research.